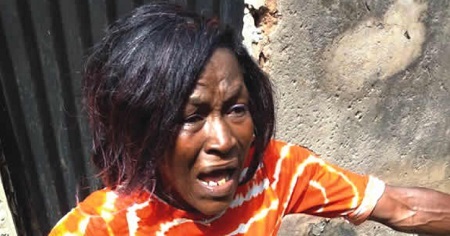 A 35-year-old woman was on Thursday mobbed for allegedly stealing an undisclosed amount of money from a co-passenger in a tricycle in Umuahia, the Abia State capital. The incident, which occurred on Enugu/Abiriba Road in the state capital, attracted the attention of other road users, who gave the suspect the beating of her life, before she was rescued. She was immediately arrested by police operatives from the Central Police Station, Umuahia. An eyewitness, who identified himself only as Chuks, told Southern City News that luck ran out on the suspect when her victim alighted from the tricycle and couldn’t find his money to pay his fare. It was gathered that the victim, who was visibly embarrassed by the development, raised an eyebrow on the suspect because she was restless and refused to come down from the tricycle, while he was looking for the money. The source said, “We were in our shops and suddenly a tricycle stopped and immediately, one of passengers and the driver started having misunderstanding over the payment of transportation fare. “But what attracted our attention was when the embattled passenger started forcing a lady in the tricycle to come down. The suspect, however, confessed to the crime, adding that she has been in the act for a period of two years.